the extra period, GU scored 19 points to hand the Wolves a 91-84 defeat. (Fishers, Ind.) made a jumper with six seconds left. finished with 40 points, four steals, three assists and three rebounds. the free throw line and made the first attempt to cut the margin to three. 3-point attempt as time expired but didn’t go in. Bryant & Stratton College (47), Gallaudet (34) and Wesley College (eight). 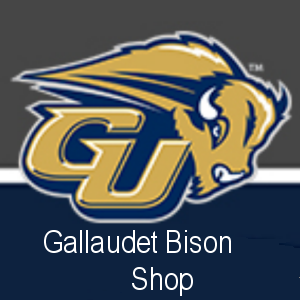 Gallaudet, Salisbury and Wesley are NCAA Division III programs. as Delaware State’s top two relay teams took first and second place. opened the first quarter battling it out and finished it being down 14-7. As the second quarter was rolling, we got Bethune in some foul trouble. and a block. Freshman Marie Padilla grabbed 3 rebounds, and a steal. seniors, but we still have one last game with them next week! defense. Kioney Alvira-Jurado and Cami Cole found their shot on offense. buzzer and the game finished 46-42 in favor of the The Colts. The Bisons play Rhode Island today at 3pm for game two of the ESDAA. Our record is 1 Win and 10 losses. points and 4 rebounds. Aleyshka Rivera-Nieves finished with 2 points. This will conclude our 2019 season. Our record is 2 wins and 10 losses.